This article by James Walston was written before the tragedy at Lampedusa where a boat with about 500 immigrants, most from Eritrea and Somalia, caught fire and sank. Over 111 bodies have been brought ashore, there are 150 survivors, the remainder are now feared dead. It was also written before another tragedy off the coast of Ragusa in Sicily where 13 young immigrants died when they were forced to jump overboard in rough seas and drowned in sight of the shore. To say the least, the new cabinet post of minister for integration was always going to be challenging. But when Cécile Kyenge was appointed in April, she certainly understood the opportunities but probably did not fully realise the obstacles and insults which she would have to deal with. Kyenge is different. 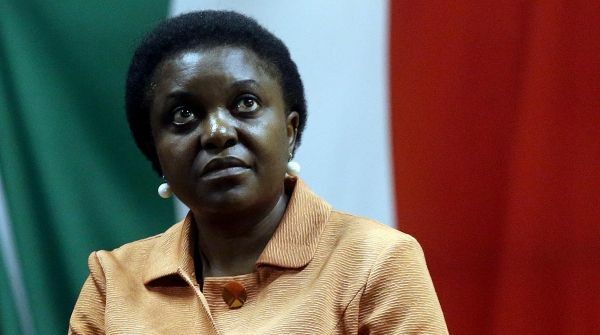 She is the first black minister in Italy and a living symbol of the changing country. As a high profile public figure, she has become the lightening rod for racist abuse, most of it from elected politicians, mainly but not exclusively from the Lega Nord (LN). Within hours of her appointment, the LN leader in Lombardy, Matteo Salvini, attacked her and has continued to do so ever since, steering just clear of being openly racist. Others have not been so subtle: the most serious in its substance was made by the local councillor who suggested that the minister should be raped to understand what it meant (after an immigrant had raped an Italian). The councillor was expelled from the LN and has already been prosecuted and convicted. The most serious in terms of his public position was Roberto Calderoli, deputy speaker of the senate, who compared the minister to an orangutan. There were calls for his resignation as deputy speaker from Kyenge’s centre-left Partito Democratico (PD) but the other party in the governing coalition, the centre-right Popolo della Libertà (PdL) did not support them and Calderoli is still deputy speaker. Kyenge has been threatened physically, and undoubtedly a lot of abuse is directed at her as a woman. When she first qualified as an eye surgeon, there were no facilities for women to prepare for the operating theatre, so she has had a long process of dealing with prejudice and offence. She came to Italy in 1983 from what was then the Democratic Republic of the Congo, qualified as a surgeon and has been active in local politics in Emilia Romagna for more than a decade, one of the growing number of “new Italians”. 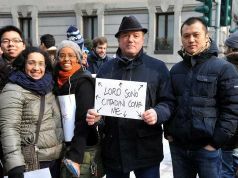 According to national statistics institute ISTAT, in January this year there were 4,387,721 foreigners in Italy, 334,000 more than the year before. They make up 7.4 per cent of the population, up from 6.8 per cent in 2012. Despite the significant number of immigrants who have gone home because of the economic crisis, the proportion of foreigners in Italy thus continues to rise. More significant for Kyenge and her ministry is that the 4.4m figure includes more than half a million children born here of immigrant parents. The 2002 law which regulates citizenship, known as the Bossi-Fini after its two sponsors, does not give Italian citizenship to children of foreigners born in Italy. They are technically “foreign” and may choose Italian nationality when they reach 18, but until then they are officially a citizen of one of their parents’ countries even if they have never been “home”. This is the issue that Kyenge has promised to address; even before becoming minister she had put forward a bill which would allow the children of regular immigrants to become Italian at birth. President Napolitano spoke out two years ago against the Bossi-Fini; Fini himself when he was speaker of the chamber of deputies very publicly called for the reform of the law that bears his name. There was a growing consensus in the previous parliament that the present law is unjust. But the Monti government had other priorities and his government was fragile and temporary. 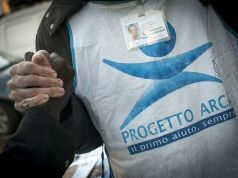 Today, the LN is adamantly opposed to any sort of citizenship for native Italian “immigrants” and the PdL does not accept that a new law is part of their programme in the Letta government. So in the meantime, Kyenge works with civil organisations trying to change both the language and perceptions of Italians. Does “Italian” include anyone with citizenship, whatever colour, however strange their name? Probably not for most Italians, but attitudes are changing and, despite the uncensored abuse from the LN, Italy is arguably less racist than most other European countries. Alongside the long and slow process of integration, there is the usual summer trail of drama and suffering in the Mediterranean. 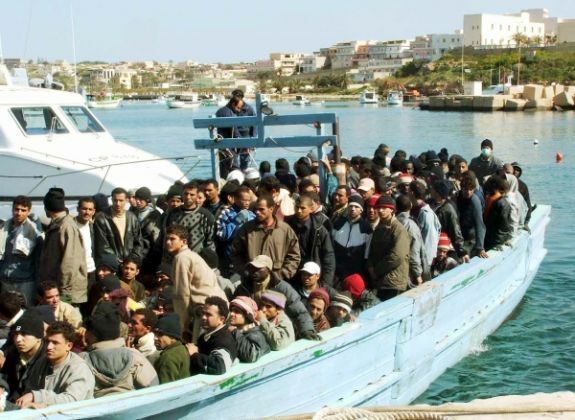 For the last few years, the island of Lampedusa has been the destination of thousands of boat people. 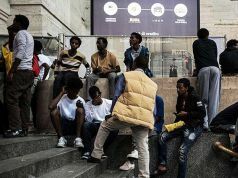 The majority are asylum seekers, mostly sub-Saharan Africans, above all from the Horn of Africa; some, especially over the last few months, are Arabs from Syria or who say they are from Syria. Others are just seeking entry to the EU and want work. Many have paid quite high sums to traffickers; many do not make it. The Italian government has to deal with distinctions between refugees and economic migrants. The former have status and legal protection, the latter may be sent home. Making that distinction can be a lengthy process. 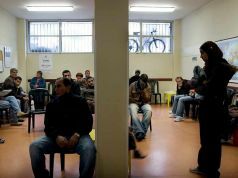 Often there have been protests from those waiting in temporary holding centres. 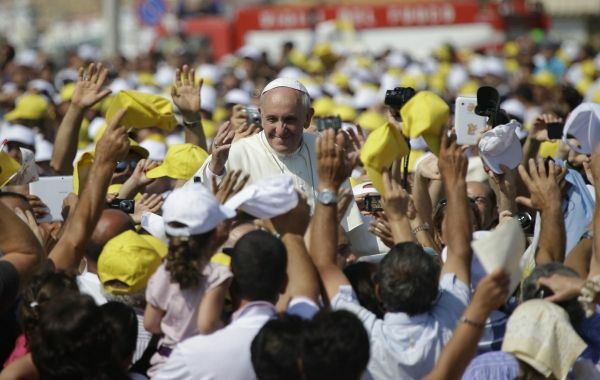 The visit of Pope Francis to Lampedusa in July highlighted the problem, as did his visit in September to a refugee centre in Rome. But the overall number of refugees is small compared to the total numbers of immigrants. It is an emergency when the humanitarian costs are so high but it is not an immigration emergency. 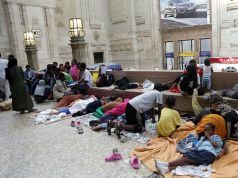 Italy came later to immigration issues than most of western Europe, but despite the racist language so far it has avoided much of the excess of some of those countries.